The Woodsman | Unique bar and restaurant located at Hotel Indigo Stratford-upon-Avon. The Woodsman Restaurant is situated at Hotel Indigo Stratford upon Avon. Executive Chef Mike Robinson, whose passion for British produce and sustainable wild food is well known. 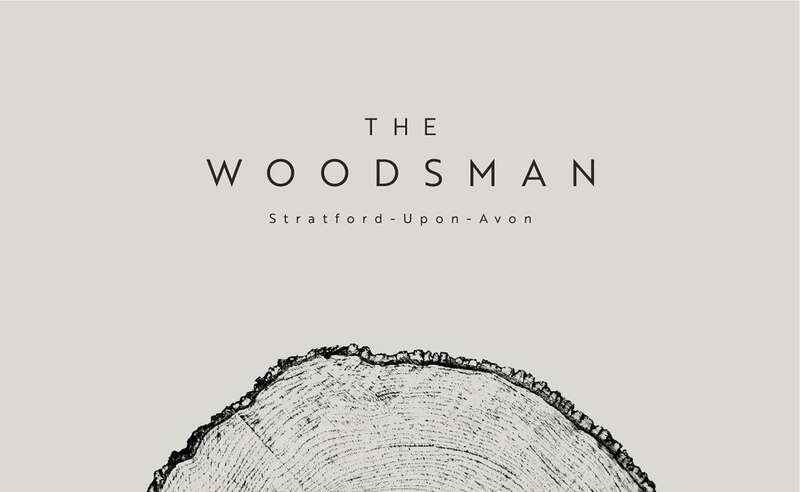 Bringing his core ‘field to fork’ philosophy to Stratford-upon-Avon, The Woodsman will deliver an exceptional dining experience with a focus on sustainability, seasonality and locally-sourced produce. A large wood-fired oven and charcoal grill will form the focal point of the restaurant, where guests can watch chefs as they prepare the finest British deer, wild boar, beef and Hebridean lamb; all raised on farms with the highest standards of husbandry. A professional Huntsman, who carefully manages the wild deer over large areas of private land, will deliver prime venison carcasses to the restaurant. These, alongside old breed beef, lamb and pork from farms with the highest standards of animal husbandry, will be used from nose to tail on an ever-changing menu. All carcasses come in whole and are aged in our butchery. Our focus is on provenance, humane practise and full use of every part of the carcass. Fish will be sourced from the leading Cornish fisheries, while the very best Evesham vegetables and wild herbs from the kitchen garden will compliment all dishes. In addition, the local ales and fantastic wine will make The Woodsman the finest place to eat and drink in Stratford-upon-Avon. THE STRAWBERRY GROWS UNDERNEATH THE NETTLE AND WHOLESOME BERRIES THRIVE AND RIPEN BEST NEIGHBOUR'D BY FRUIT OF BASER QUALITY. The following are some of the service marks owned by InterContinental Hotels Group (IHG), Inc., its parent, subsidiaries, or affiliates, all members of the InterContinental Hotels Group: Intercontinental® Crowne Plaza®, Holiday Inn®, Holiday Inn Express®, Express by Holiday InnTM, Holiday Inn Select®, Holiday Inn Garden CourtTM, Holiday Inn SunSpree®, Holiday Inn Family Suites Resort®, Staybridge Suites®, Staybridge®, Forum®, IHG Rewards Club®, HOLIDEX®, Holidome®, Stay Smart®, Express StartTM, Candlewood®, Candlewood Suites® Hotel Indigo Bath is owned & operated by St James’s Hotel Management Limited.